DARK FANTASY collection - unsigned Trade Paperback. 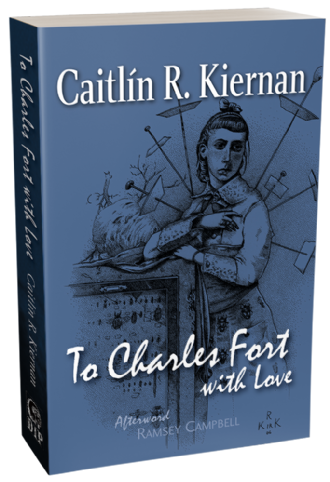 To Charles Fort, With Love is award-winning fantasist Caitlín R. Kiernan's third collection of short fiction, a haunting parade of the terrible things which may lie beyond the boundaries of science, the minds which may exist beyond psychology, and the forbidden places which will never be located in any orthodox globe. To quote the object of Kiernan's affection, meta-poet and arch-enemy of dogma Charles Hoy Fort, "The little harlots will caper, and freaks will distrac t attention, and the clowns will break the rhythm of the whole with their buffooneries—but the solidity of the procession as a whole: the impressiveness of things that pass and pass and pass, and keep on and keep on and keepon coming." 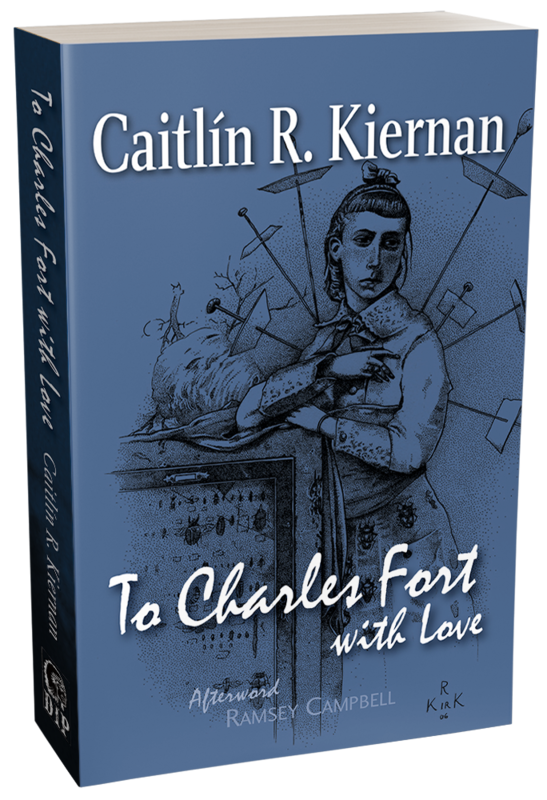 A deceptively even dozen, this collection includes Kiernan's celebrated stories "Onion" and "Andromeda Among the Stones," as well as a number of more obscure pieces. Though Kiernan was recently praised as "the new Lovecraft," these stories stand as testimony that she will never be merely the "new" anyone, that hers is a unique and demanding voice entirely unlike any other.